By now you might already know about the myriad booze-delivery apps that are currently inundating the market. Sure, they're great for ordering an array of different, specific drinks, but if you're hyper-focused on one particular beer, you won't want to have to search through all the other options to get to it -- what is this, the aughts? 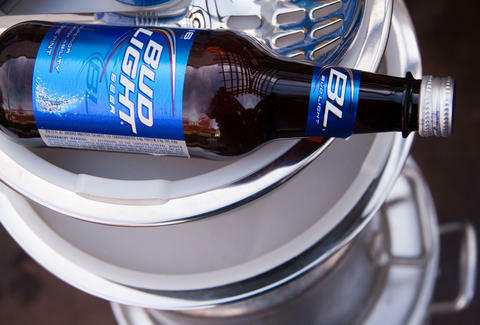 Enter: the Bud Light Button, an app that brings cases of Bud Light directly to you. AB InBev worked with Klink to make the app a reality, and it's launching today in DC (only for Android currently, but an iPhone app is forthcoming) and will hopefully expand nationwide in the near future. How it works is simple: you pick how many cases (between one and 100) of Bud Light you want delivered to your doorstep, and Klink finds a nearby retailer that'll bring them to you within the hour. Now, if you want to throw a huge shindig (at an hour's notice), you're pretty much covered. Party on, dudes. Adam Lapetina is a Food/Drink staff writer for Thrillist, and still has to go to a store to buy his beer. Read his musings at @adamlapetina.